PlayByVIP is a digital-only music and video blog, servicing music to bloggers, and media professionals worldwide. The story of PlayByVIP is above all the story of an online music company and its founder, who wanted to reinvent the way bloggers and online press access their music. Using the original, newsletter-based platform, the founder was determined that its service should be a legitimate model, supporting musicians, labels and others who earn their living from music, and so PlayByVIP was born. 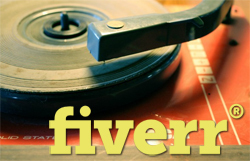 As part of the systems ongoing development strategy to improve, in March 2013 PlayByVIP announced the launch of the Fiverr.com/vipdjz service for musicians without a major label budget. This represents another step in our ambition to liberate music worldwide and drive discovery for unsigned recording artists. At PlayByVIP, our aim is to help musicians and labels to make their music releases instantly available to Bloggers and Media, on any device – smartphone, computer, tablet, home speakers or car. We believe in making the technology that powers our music experience as open and accessible as possible. We give musicians and labels the power to innovate, creating boundless possibilities for music promotion and discovery.